It’s the first Thrifty Thursday of the month and a guest post from Missy M from USA. In the US, its winter, that means I’m “suffering” from S.A.D. in my case, otherwise known as seed acquisition disorder. For me, I love everything about spring and summer, except snow of course. I love the fall harvest, but I despise winter. Sure there are some good aspects about winter, and going sledding with the kids is pretty cheap once you have your sled. I will expand more on the few positives of winter I can come up with to share later, but my main reason that winter is tolerable is seed catalogs. I bide my time on the cold, dark winter nights by flipping through seed catalogs. I may be frugal, but I care about what goes in my family’s mouths. I choose to get GMO free seeds, and heirloom or organic when I can. Some of my favorite seed companies are http://www.rareseeds.com/ (order your free catalog under the shop tab… understand, it can take a month or more to get your catalog, so do it immediately!) http://www.anniesheirloomseeds.com/ , I’ve ordered from both of these companies and been happy with both. http://www.highmowingseeds.com/ I haven’t ordered from them yet, but have meant to, just ran out of money by the time I got to their order. http://www.edenbrothers.com/store/heirloom_vegetable_seeds.html I will admit, I just found this one, so I don’t know much about it, but its also GMO free, and heirlooms, which is a good start for me. 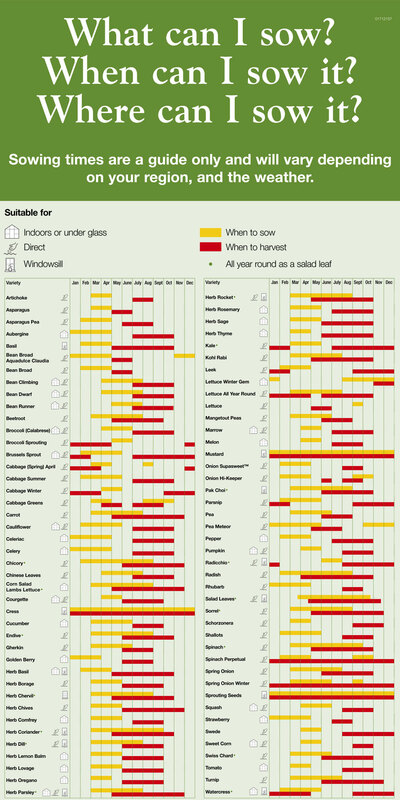 You will want to look up a seed sowing/ growing chart, this are a few examples http://www.thompson-morgan.com/static-images/tandm/in-the-garden/veg-seed-guide.jpg and http://yougrowgirl.com/seedsowingchart/ as well as find out what zone you are in http://www.lawn-and-gardening-tips.com/planting-zones.html … knowing your zone is important to know when you should start those seeds. For my readers outside of North America, I honestly have no idea if you have an equivalent or not. My best advice would be to search out well known, reliable garden groups or websites and go from there. Read your seed catalogs, try to plan for how much space you have to garden. If you are like me, you pick about 50 seed packs more than your garden can hold. I use companion garden planting sites to help me plan my garden. I write it out on paper, so I have the best chance of having a garden that will succeed. Some plants thrive next to other plants and some will die if you plant them next to each other. A little googling goes a long way here, as there are hundreds of companion planting sites. Find the one(s) that has everything you plan to plant. Read, dream, plan, purchase, sprout seeds, harden seeds (this means they spend a little time outside each day in the cooler air than their seedling box so they don’t go into shock and die when you transplant them), and plant. In the winter, you will only be focusing on read, dream, plan and purchase. The others will start early spring, unless you live in a mild climate zone… which is why its important to know your zone and planting guides for your area. Before running back to the warmth of covers, a comfy chair and a seed catalog, here are some other thrifty ideas for winter. -Use the cold to your advantage. It works as a spare fridge or freezer. We use the garage as a place to keep extra drinks, and leftovers that wouldn’t fit in the fridge. – if you have snow, use it. Sledding, snowball fights, snow angels, forts, snowman. These are all fun in the cold. … a $1 squirt bottle from the dollar store and a couple drops of food color in water adds color to the snow and the kids love it. -frozen ponds/ lakes mean free ice skating. Or go ice fishing. (mind the fishing laws please). – use the cold as a good excuse to catch up with some good books. The library has a bunch of options for free. -do some deep cleaning, purging. It will free up time when its nice and you want to do something outside. -learn a new hobby- make candles, bathbombs, learn to sew, etc. – create a vision board. It will give you something to focus on, and keep your mood positive and focus on your dreams and goals. There is plenty to see and do for free, just dig around, go exploring and try not to let the winter blues get you down. Until next time!